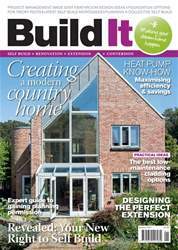 Sustainability was at the heart of the plans for this contemporary house in East Sussex, which was part of a larger scheme to redevelop an estate that included a 1940S dairy, a 19th-century oast house and a 1970s dwelling. The property is set within 275 acres of spectacular Wealden countryside, and the grounds are also home to an expansive area of woodland. 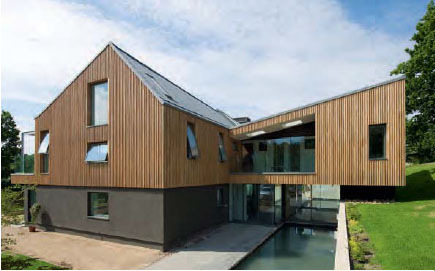 The owners were keen to create an abode with impressive green credentials, so many materials for the project were sourced directly from this wood – including timber for the cladding and internal joinery.